You’ve seen him survive a 557 kilometre dispersal and that ordeal at sea. 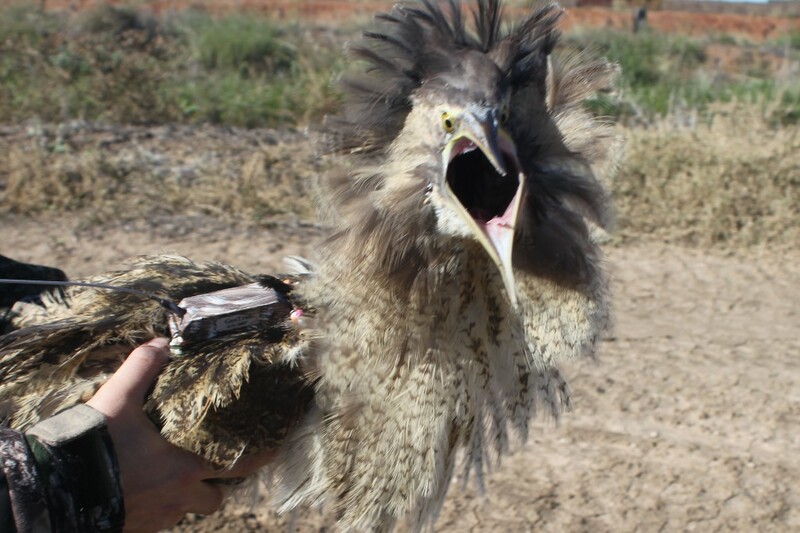 Robbie is clearly a strong and healthy young bittern. Here are two photos showing you his feisty side. After we’d attached the transmitter and as we were about to release him, the sock came off his head. He was raring to go, and have a go at us. Further down, you’ll see one of Robbie’s large wings that are serving him so well. 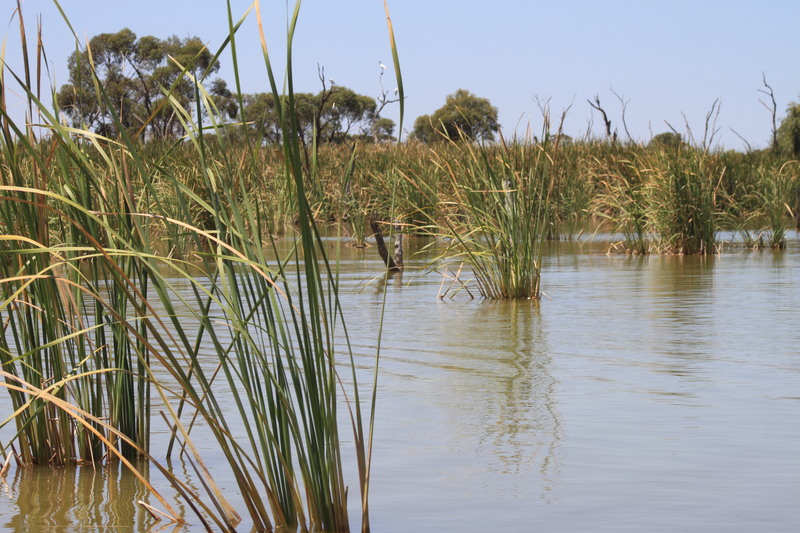 He is still in the Long Swamp area of south-western Victoria and getting to know it intimately. Robbie represents the future generations of bitterns and may just end up being the most popular bittern ever. 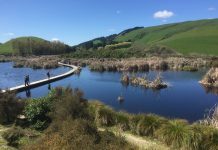 Beyond Australia, he has people from New Zealand to Nepal following his journey. Tracking Bunyip Birds researcher, Inka Veltheim, has suggested that I end my policy of no tattoos with: “Robbie 4EVA”. I’m considering it. 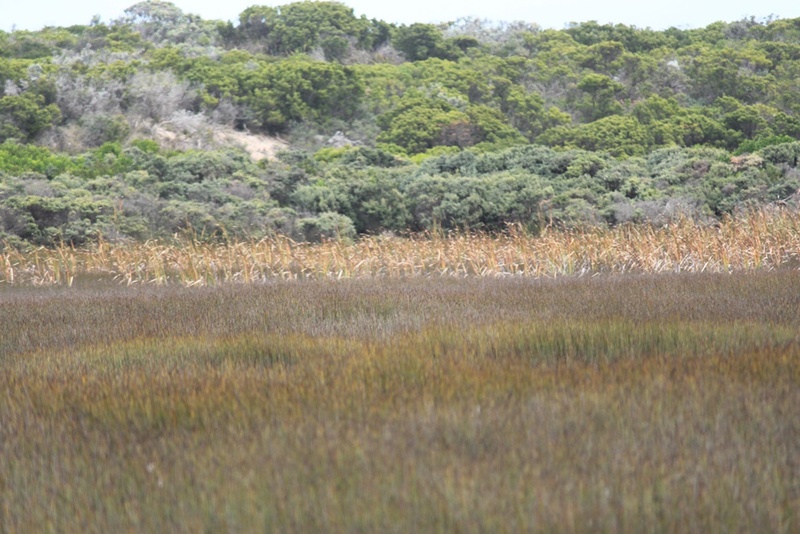 But not all of the Australasian Bitterns made it to their non-breeding wetlands this year. 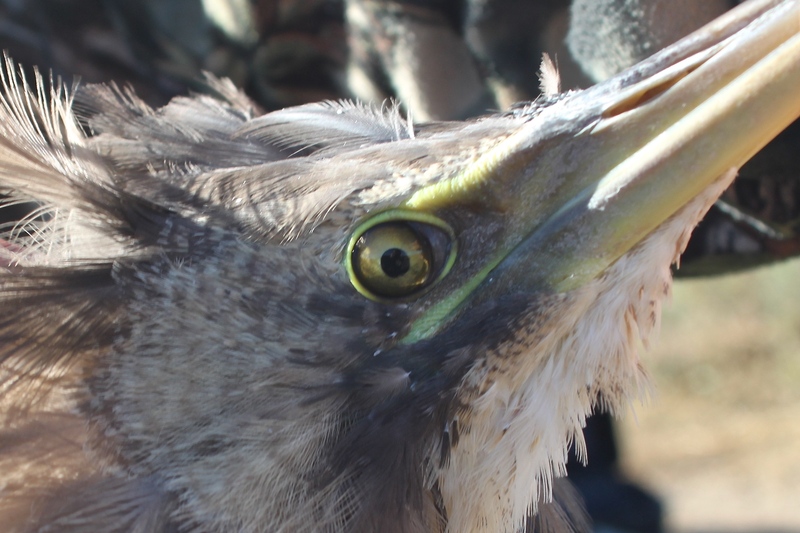 Last month, we found a pile of bittern feathers with a fox poo on top, a rather subtle indication of the likely cause of death. This season, we found eight bittern nests on five of our randomly selected rice farm study sites. 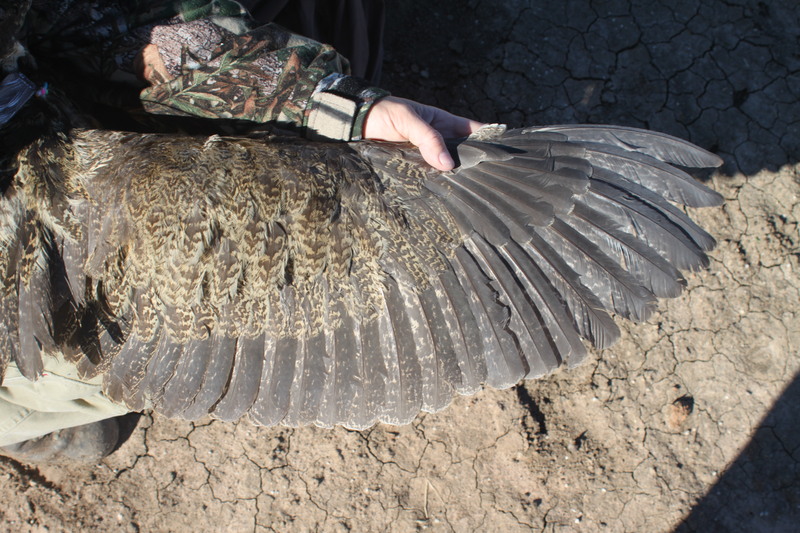 There is no longer any doubt about widespread breeding. 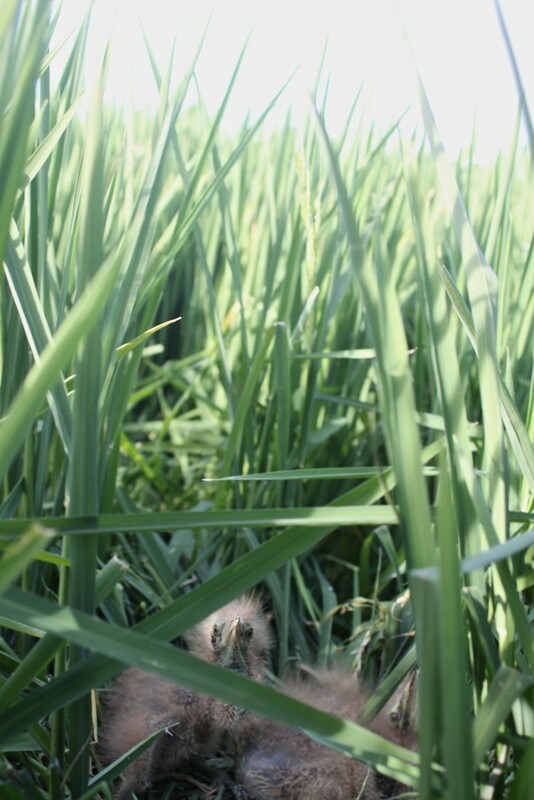 Importantly, we confirmed that they can breed successfully in rice, producing fully fledged young. 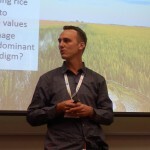 In future seasons, we want to learn about the things that affect their breeding success so we can maximise the number of young that the rice yields. 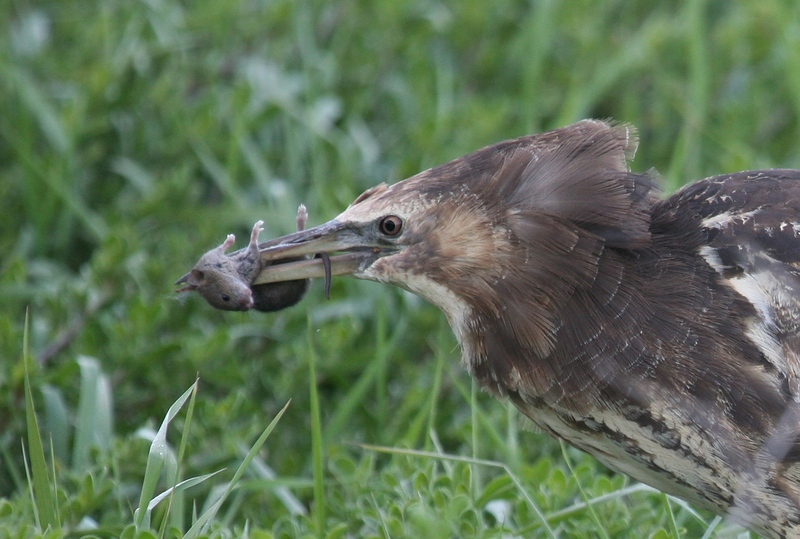 We now know that chicks in rice are fed frogs and carp, and we suspect the abundance of bittern prey will be among the key factors. It’s great watching Robbie’s journey, yet the 2015-2016 rice season can’t come soon enough. 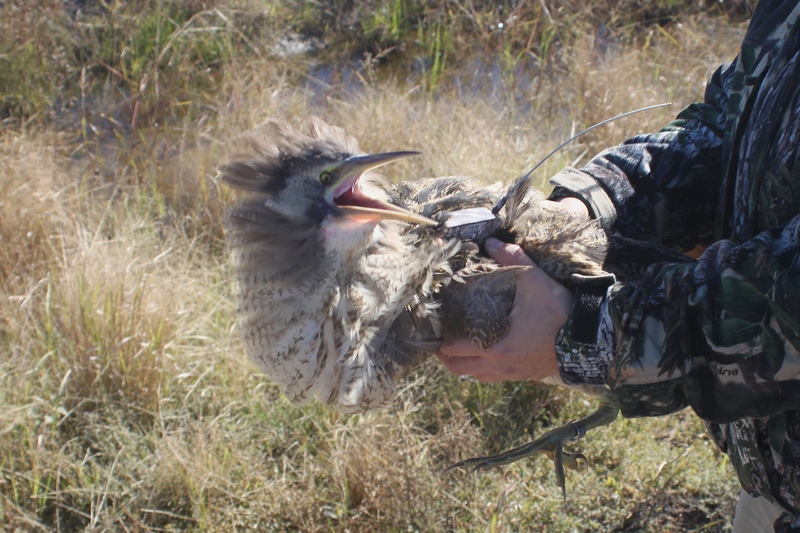 Robbie, with the head-sock off, just prior to release after attaching satellite transmitter. 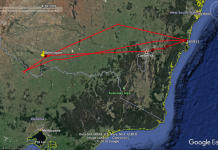 One of Robbie’s wings, photographed after attaching the satellite transmitter on April 21st, 2015. 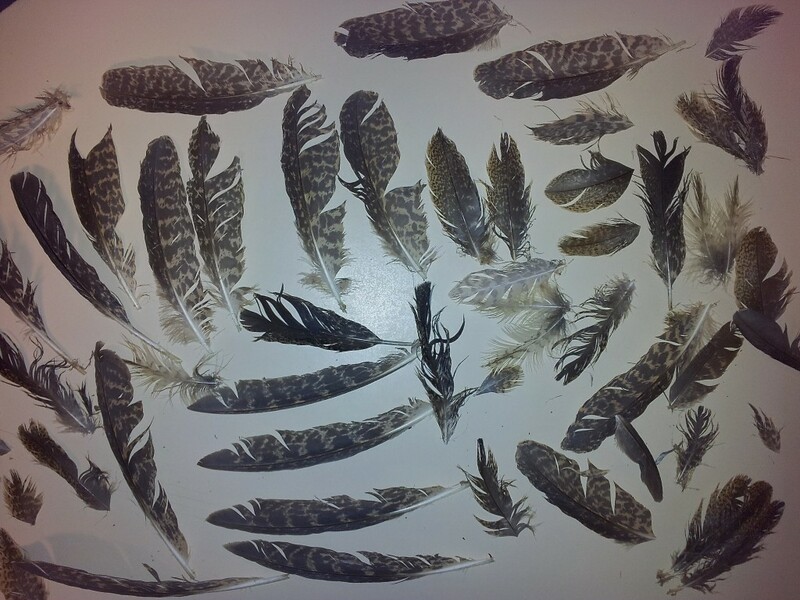 Feathers from an Australasian Bittern found near Leeton, presumably dead as a result of fox predation. 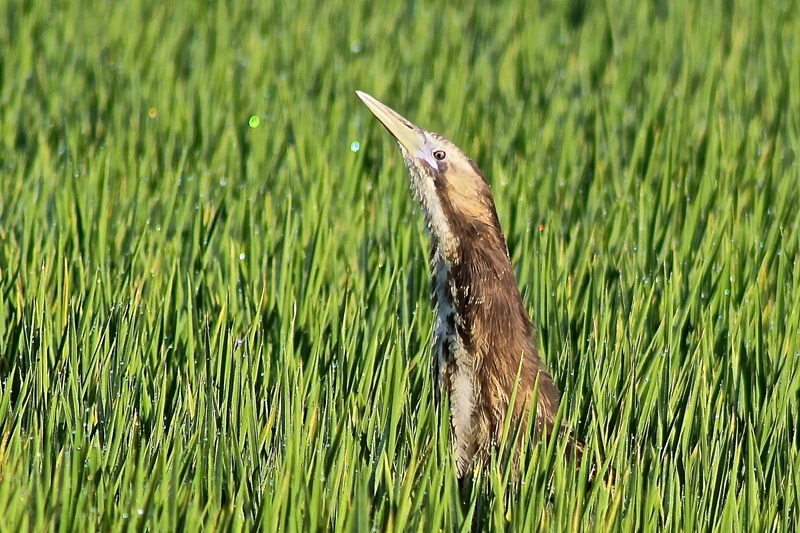 Australasian Bittern nest in a rice crop near Griffith, one of eight found in 2015. Next articleMEDIA RELEASE: May 26th, 2015. I love the first photo. Ive never seen such a feisty picture of any animal. Warning…. don’t mess with Robbie! Yes, and as it’s been noted on twitter by the MDBA, it’s not surprising since we messed with his hair!